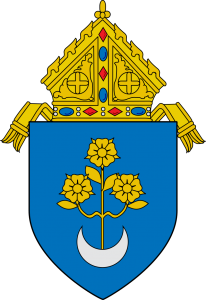 The ministry of ushers is the oldest lay ministry in the Catholic Church. The ushers of today have descended from a long line of people of God who have gone before them. We see their antecedents in 2 Kings where they are called the doorkeepers. During the time of Christ, the temple guard numbered in the hundreds and were the forerunners of today's ushers. 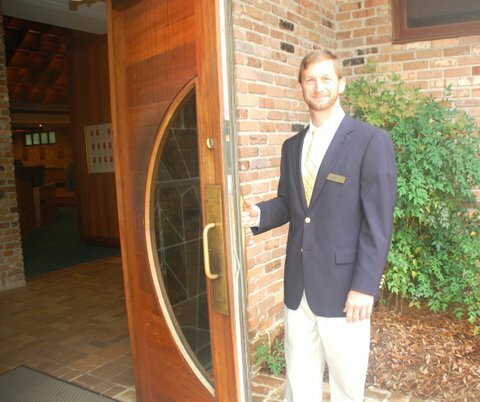 The usher’s primary duties and responsibilities include greeting and welcoming parishioners and guests as they enter the church, help them to find seats, taking up the collection, handing out the parish bulletin, and wishing everyone a good day at the conclusion of the Eucharistic Celebration. Ushers are expected to help clean up the church after Mass, collecting excess bulletins and papers left behind in the pews. Ushers will assist in handling emergency situations, with both courage and composure. The time commitment is usually about about 90 minutes per Mass, beginning 15-20 minutes before Mass begins, includes duties during Mass, and 5-10 minutes after Mass for clean up of pews. Ushers typically serve at least one Mass per month. Melinda Seiter handles usher scheduling. Contact Melinda to be added to the usher schedule and to set your scheduling preferences. St. Ignatius utilizes Ministry Scheduler Pro to schedule ushers and other liturgical ministers.